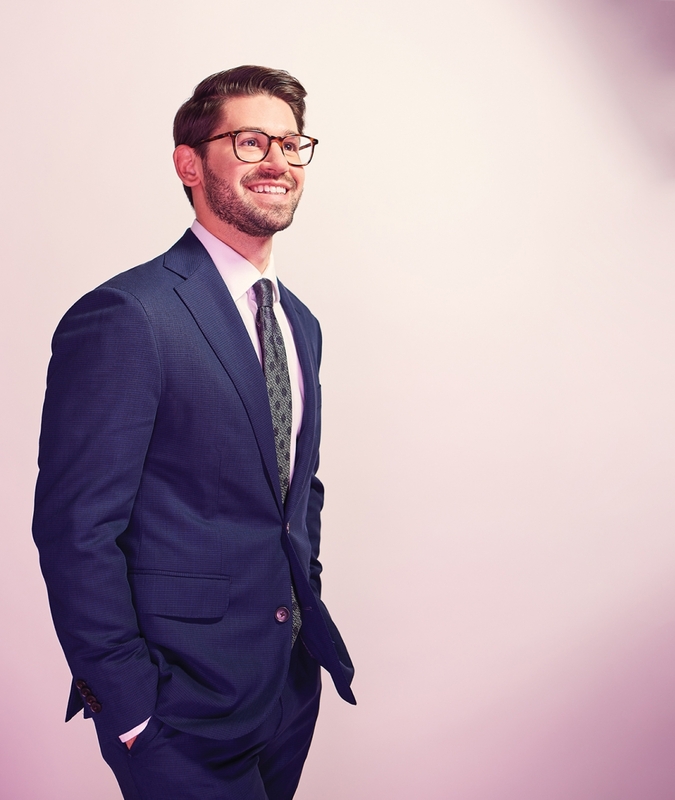 Why He’s Top 40: He’s helped improve the quality of life of those with a neuromuscular disease while providing a support system for other medical residents. Grayson Beecher may be one of the youngest chief residents ever in the University of Alberta’s neurology program, but he speaks of the history of the field like an old soul. “Things have really changed in neurology – sometimes, patients can now go back home in a couple of days, when, in the past, the diagnosis may have been debilitating,” he says. In fact, Beecher now sees some patients skip hospitalization entirely. As a first-year resident, he helped conduct a clinical trial for patients with myasthenia gravis, a neuromuscular disease leading to problems with vision and breathing. Participants were treated using a device small enough to carry around, allowing the patients to carry on with daily activities without the customary weeklong hospital stay. Beecher wrote the results, speaking to the improved quality of life of participants, for the prestigious journal, Neurology, in 2017, with the piece placing in the top 10 per cent of approximately 9.5 million academic articles. Beecher believes such advancements only come through the support of like-minded colleagues and mentors, (including his own mentor, Dr. Zaeem Siddiqi) and attributes his own success to support he’s received. And he’s paying it forward; he’s mentored first-year medical students, coordinated a shadowing program for those in the field, and run examination preparation groups for medical students. His leadership skills were recently acknowledged when he received the Alberta Jenkinson and Stephen Buhl Leadership Award along with the Dr. Michael Koilpillai Memorial Prize in Neurology from the Division of Neurology and the Postgraduate Medical Education office at the U of A.